Don't you love it when you find that forgotten something in your closet that you bought at the end of the season the year before and it's like new? At the time, the weather was changing and it didn't make much sense to buy it, but the price was slashed to make way for new seasonal apparel, so you grabbed it up. I'm always so proud of my decisions a year later when I have to go out and buy new for work. And now the time has come, to make my future self proud. Time to stock up on timeless winter essentials. 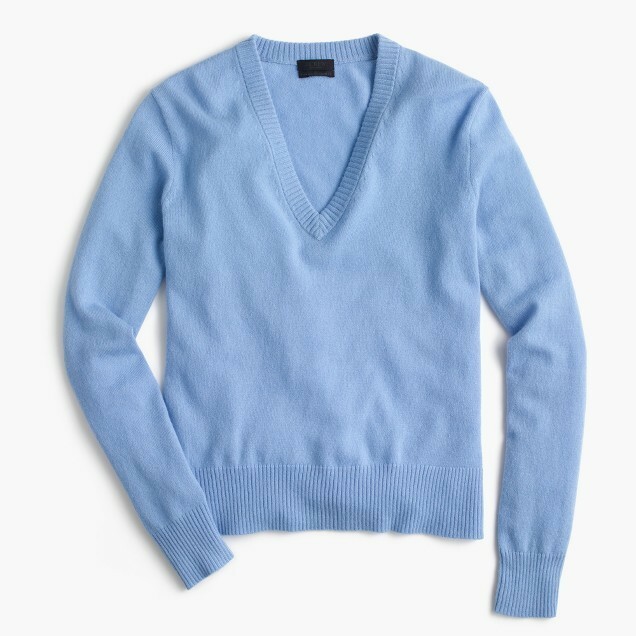 If you buy one thing, make it a good one that will last for years -- buy cashmere. Cashmere is spun from the Cashmere goat and there's not a lot of them, so it's really expensive. It's the warmest of natural fibers. I've always loved the draped elegance of cashmere because it makes me feel lux. Start buying it, one piece at a time, until you have a turtleneck, V neck, and crew neck. You can buy it in the cheaper range, but true quality is over $200. As I've gotten older I've started to appreciate the "buy less but buy better" mentality and have been investing in more timeless pieces. Anything that can grow older and not show age is my friend. My favorite (more luxurious) cashmere picks - watch for the sales!